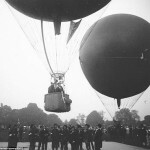 About 175 black and white photographs of a gas balloon race held over London in 1909 are being auctioned by Dominic Winter Auctioneers of Cirencester, Gloucester. 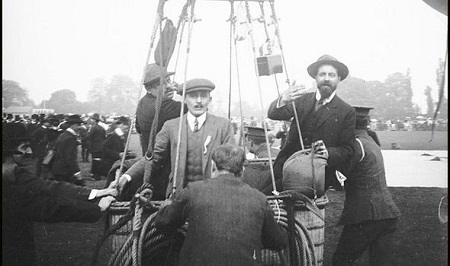 The Aero Club of the United Kingdom organized the point-to-point competition held at the Hurlingham Private Members Club in Fulham. Fourteen pilots took off at 3.30 pm on May 22 with the winning team being the one that could land nearest to a site that was designated shortly before the race commenced. 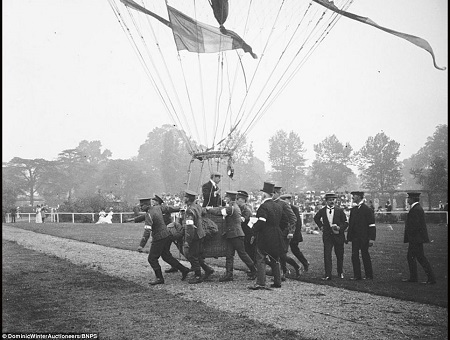 Ten British, three German and one Belgian flyers took part in the race. The winner was awarded an ‘objet d’art’ or £80 prize money while the runner up won a lesser antique or £20. 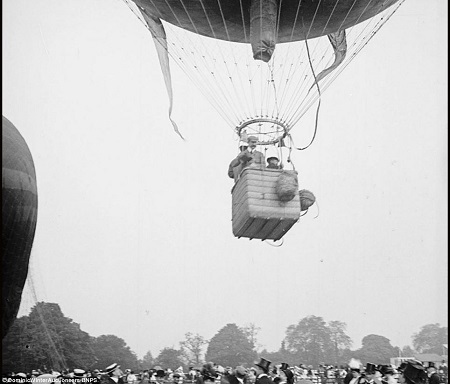 These prizes are the equivalent of £2000 and £500 (US$3200 and $800) in today’s currency. 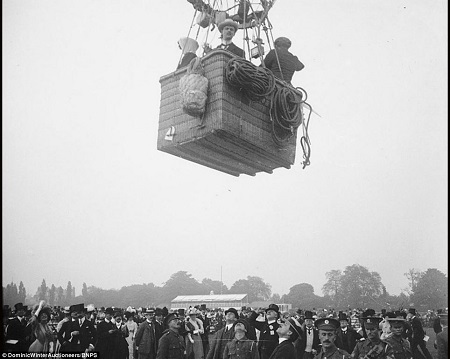 It was one of the biggest spectacles of its day attracting hundreds of spectators. 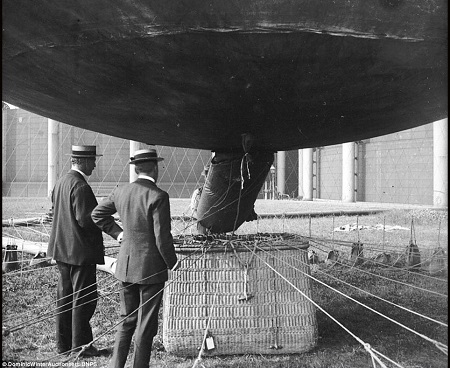 As the enormous gas-filled balloons floated across the sky, onlookers were marveled by the cutting edge technology. 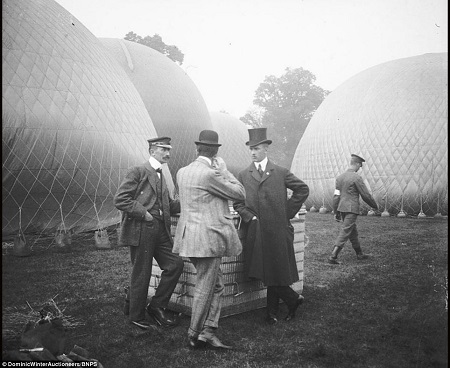 Spectators who were not members of the Aero Club could purchase tickets for 10 shillings each, about £12.50 or US$19.00 in today’s currency. The Verascope glass slides are expected to be sold for about £1000 (US$1600). 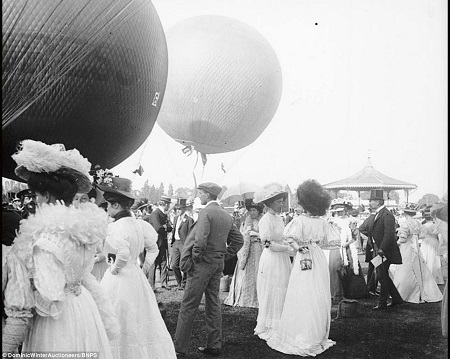 A large crowd of very well-dressed spectators turned out for the event. 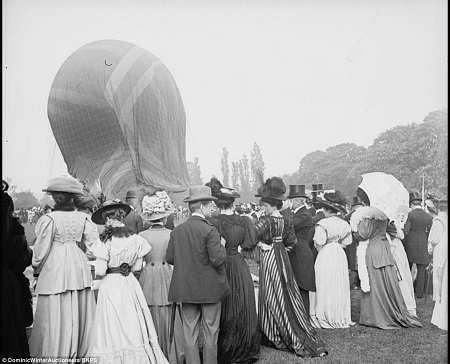 One of the balloons being inflated. Balloon number 1 inflated, ready for ascension. 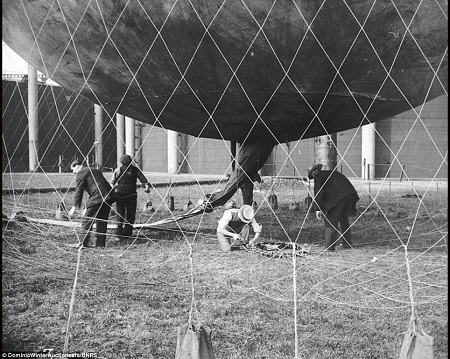 An inflated balloon held by a weighted net is prepared before attaching the passenger basket. 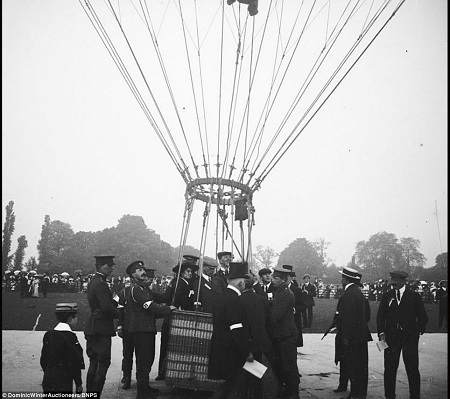 The balloon held in place by weighted netting. 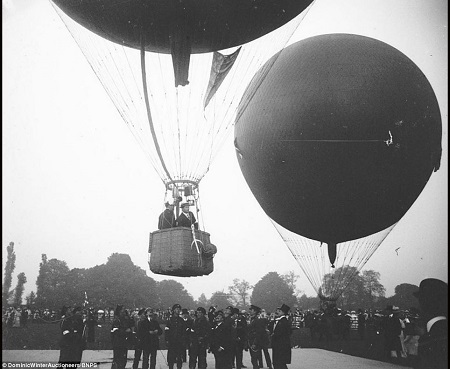 The balloons begin their ascent. Final moments before lifting off. 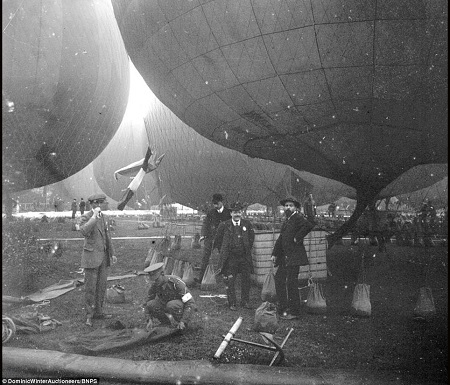 One of the crew members is seen with a camera. 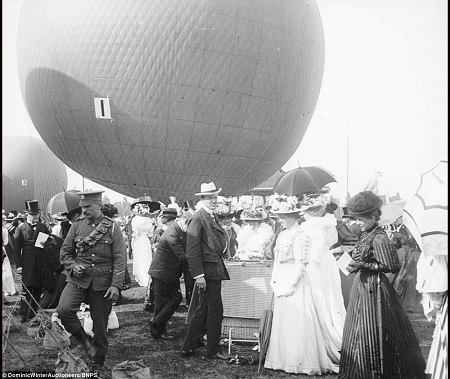 Spectators watch the balloon’s ascent. 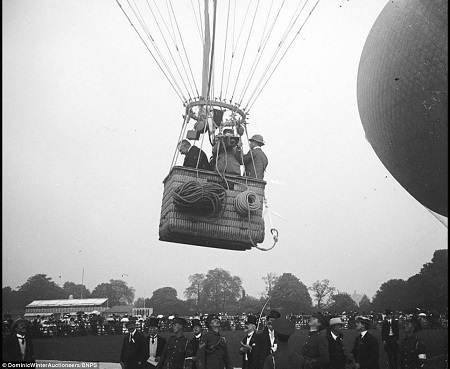 A balloon is moved to the lift off area. A conversation among participants before the race. 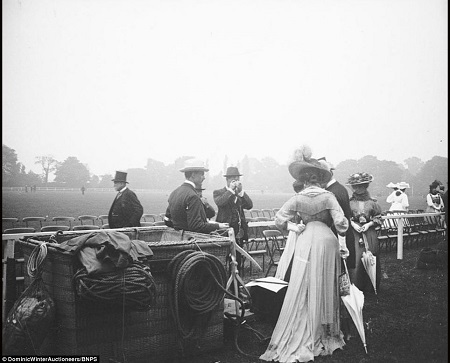 Spectators near one of the baskets before the race. 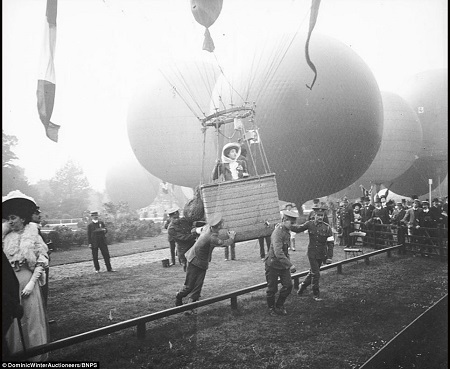 One of the few photographs showing a lady aboard a balloon. 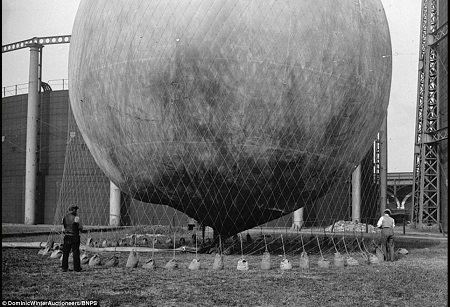 A crew member preparing to release ballast. 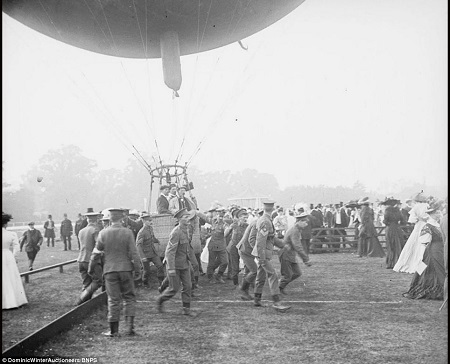 This entry was posted in Balloons, History and tagged balloon race, gas balloon. Bookmark the permalink.